Classic cars have always remained in demand because there are many car enthusiasts and automobile lovers that love to collect these old cars that represent the style and technology of that era. The era of 1950s and 1960s was not just about making a vehicle that can take you from one place to other but also to create a style factor that was missing in the earlier car models. While there are many cars that define the car culture of the 1950s and 60s, the second generation Cadillac Eldorado became one of the most popular cars in that time as it flashes out style and substance from all angles. It soon became the flagship car of the Cadillac as only 2150 Eldorados were built making it one of the rare cars. It was known as a nice, solid and straight California car. It is powered by 5.4 liter OHV V8 engine that produces 230 horsepower and offers better driving experience. Although, the car is pure American it is usually associated with Cuba and Havana. German automaker Porsche decided to build something for the American market and they came up with 356 Speedster which is a lightweight rear engine rear wheel drive 2 door sports car that soon made it popular. 1955 Porsche 356 Speedster became a huge hit in California where car buyers were happy driving it due to favorable weather conditions. It was powered by a rear mounted air cooled pushrod OHV flat four engine that was soon replaced by the four cam Carrera engine in 1956. The 1952 Fiat 8V also manages to be among the most popular classis cars in the 1960s era. Although, it was intended to be a production model it became a typical limited production Italian sports car that was usable on the road. It featured all independent suspension and the narrow angle V8 engine was never used again in any other Fiat which actually makes this car unique in some ways. The car was powered by OHV V8 engine that has the capability to produce 115 horsepower and with only 114 Fiat 8Vs around the world this car is almost impossible to find around. This classic car was the first new offering from Daimler-Benz after the Second World War with the focus mainly on engineering. With its Gothic styling on the outside the car had gears running from end to end and was powered by overhead-cam 3.0 liter inline six engine that can deliver 115 horsepower. It also sports a tall Mercedes grille on the front with semi-integrated front fenders and short rounded rump. Although, this look likes a sports car but Ford decided to market this car as a personal luxury car and 1955 Ford Thunderbird managed to etch its name in the history by becoming the grandfather of all American low-riders and cruising cars till date. The first generation Ford Thunderbird was launched in response to compete with Chevrolet’s Corvette. It was powered by 4.8 liter Y-block V8 engine that produced enormous horsepower. This iconic car soon became an American model and was used in many movies like That Girl, Car Crazy and Lady In a Cage. This high performance sporty car managed to create lot of hype when it was launched and it was also one of the expensive models. This two door hardtop vehicle was not just about performance but also about luxury. The interiors had quilted pattern leather and vinyl upholstery. Under the hood, Studebaker was powered by small block V8 engine that would deliver a whopping 185 horsepower. On the front side it has fish lips style chrome styling that was used for many years ahead considering its popularity. 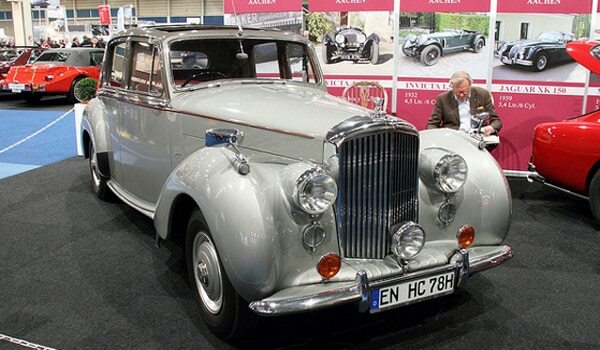 While Bentley decided to build just a few cars of this range, 1952 Bentley R-Type Continental remained the most popular classic cars of the 1950s postwar era. It was stylish, light and fast and that made it instantly popular. The car was powered by 4.6 liter straight six engine that would produce 130 horsepower and can offer 101 mph top speed. The car also got 4 speed manual transmission that offers better driving experience. 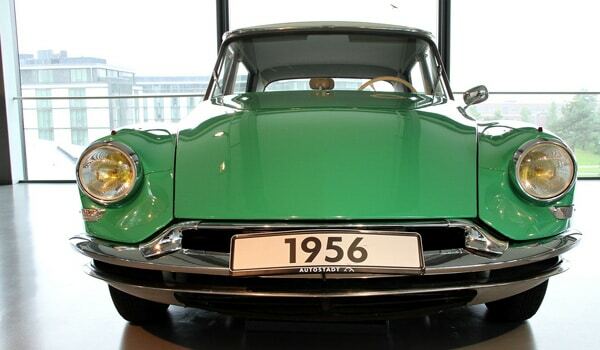 Citroen managed to be among the top automakers after the Second World War and the 1955 Citroen DS was a futuristic design car that still remains irreplaceable. The car speaks about the art of aerodynamics and it gets monocoque body with fully detachable skin panels. It was with this car that Citroen introduced unique hydraulic all independent suspension system and engine-driven pump that provide assistance to steering and brakes. The car was powered by 1.9 liter inline four engine that would deliver 75 horsepower performance. 1955 Citroen DS was used in The Day of the Jackal (1973 movie). Nothing can get as flashier as 1958 Buick Limited as it combines the best and worst of car styling all in one single vehicle. Station wagons were highly popular in the 1950s and 60s and 1958 Buick Limited gets a over-decorated front side that only showcases the grand styling. However, Buick introduces luxurious interiors and better chroming on the front that makes it so popular. Under the hood, OHV V8 engine delivers 300 horsepower that speaks of pure performance. In 1956 BMW decided to come up with 503 that became the first postwar sports car from BMW that was based on Type 502. The car also shared the same 3.2 liter V8 engine and had 2+2 seating arrangements. The car got great response and it became an icon of indulgence and luxury as it offered better driving experience than any other sports car of that era. With only 412 cars produced 1956 BMW 503 soon became an impossible car to find in the market.